Angina pectoris due to coronary artery disease is generally considered to be chest pain due to myocardial ischemia which occurs because the myocardial oxygen demand exceeds the myocardial oxygen supply. An effective antianginal agent should relieve anginal pain either by improving the myocardial oxygen supply or by reducing the myocardial oxygen demand. In addition to relieving anginal pain, an ideal antianginal drug would also increase exercise performance, reduce electrocardiographic evidence of myocardial ischemia, prevent myocardial infarction, and prolong life. 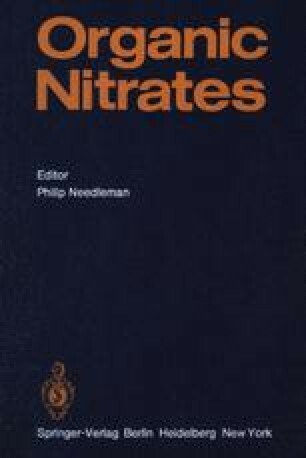 The following discussion will critically evaluate the efficacy of the nitrites as antianginal drugs.